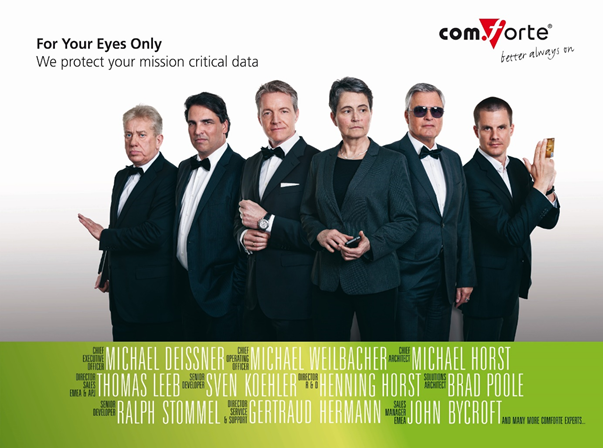 Enjoyed the first part of comForte’s “For your eyes only” presentation recording from eBITUG? Get ready for part #2! Tell me more: DataExpress welcomes the summer break! Registration for the 2017 NonStop Technical Boot Camp is OPEN! On Tuesday May 9th in London NTI announced two new product offerings at the eBITUG conference. EVOLUTION provides a fabric for the seamless migration of GoldenGate systems to the new Xbox. Evolution is truly a revolutionary approach to platform migration. Beyond the evolution fabric NTI has assembled analysis, support and migration solutions that surround Oracle GoldenGate installations and ensures a successful seamless migration. VISION provides a way to use the data flowing thru your NonStop for new analytics and applications. VISION is so new that our web content is not yet online. In the coming months expect additional announcements that will WOW you. DRNet® is world class NonStop Data Replication technology. Thank you again to all who visited our booth at this year’s eBITUG! To learn more about the Power of Thunder, contact Canam Software Labs at info@canamsoftware.com. Gravic published a new article, Dramatically Reduce Outage Costs with Advanced Business Continuity Solutions in the May/June issue of The Connection. 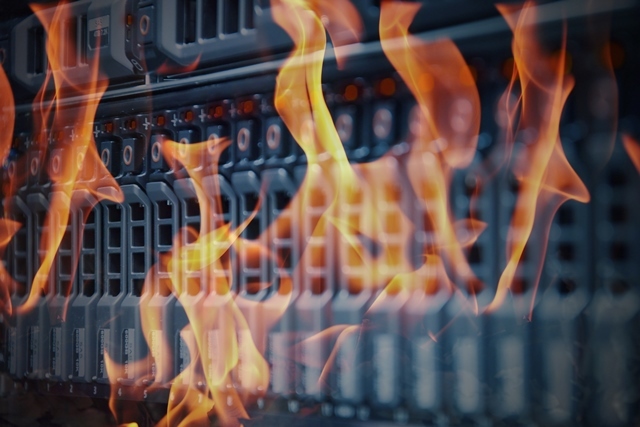 Whether it be fire, power failure, software error, malfeasance, or some other cause, events occur which can lead to unplanned outages of IT services. If your business is relying on an active/passive or asynchronous data replication solution for business continuity, then it is time to look at whether or not it really provides a sufficient guarantee of protection against the impacts and costs of downtime and data loss. Chances are that it does not, and you should consider moving to a higher level of business continuity solution – such as sizzling-hot-takeover (SZT) or active/active – which mitigate the issues with active/passive, resulting in much better total cost of ownership (TCO). 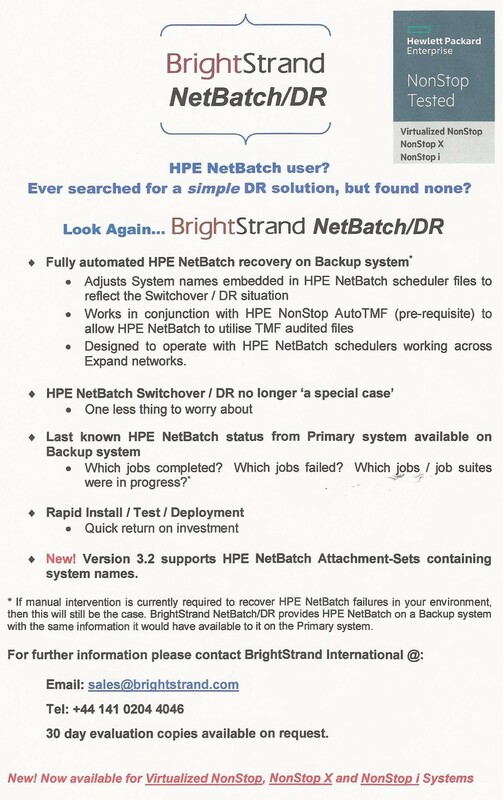 For those businesses that cannot tolerate any downtime or data loss, synchronous replication, HPE Shadowbase ZDL, should be utilized for the highest levels of availability with zero data loss. We recently presented on our new product, HPE Shadowbase Zero Data Loss (ZDL) at NYTUG (outside New York City) and N2TUG (Dallas). HPE Shadowbase ZDL provides zero data loss, preserves your mission-critical data to mitigate any disaster's effects, and is now released from Gravic in Controlled Availability (CA) mode and from HPE for testing purposes only. (The HPE first customer ship is expected soon.) We are excited and proud to bring this new product to market, which includes the implementation of many novel (patented) techniques. Please contact us if you think that you could benefit from this technology, or are interested in learning more and would like us to present it to your colleagues. We thank John Vollers from Hewlett Packard Enterprise and Mandi Nulph of NuWave Technologies for organizing the NYTUG meeting. We particularly enjoyed Bill Highleyman’s presentation on the “never agains.” He discussed how “fat fingers” can cause major system outages. Congratulations to Donna Webb of Value Line for winning our Google Home prize! We also thank the N2TUG board for hosting such a terrific event! Special thanks to Bill Honaker and Diane Funkhouser for a job well done! As far as regional events go, this is one of the best in the Americas. Congratulations to Brandon Kay of US Bank/Elan Financial Services for winning our gift card prize! To speak with us about your data replication and data integration needs, please visit us at www.ShadowbaseSoftware.com, email us at SBProductManagement@gravic.com, or call us at +1.610.647.6250. Hewlett Packard Enterprise directly sells and supports Shadowbase solutions under the name HPE Shadowbase. For more information, please contact your local HPE account team or visit our website. Just a few weeks ago, eBITUG 2017 in London took place and it was our pleasure to be amongst the esteemed experts who presented on stage. John Bycroft gave a talk that had it all: Lots of valuable information and top-class entertainment on the subject of “Keeping your data ‘For yo#2 636& only’”. It’s no secret, the amount of digital information continues to grow! In fact, IDC calculated the total amount of digital information created and replicated at 4.4 zettabytes (one zettabyte is equal to 1000 exabytes), way back in 2013. They figure this number will grow to something like 44 zettabytes by 2020, only three years from now. And while most of this data is created by individuals, enterprises handle about 85% of this information at some point in its lifecycle. This means organizations take on the responsibility for architecting, delivering and maintaining information technology systems and data storage systems to meet this demand. So massive amounts of data must and are being archived! What can be done, digital data isn’t going away……. For NonStop customers, a great answer is Tributary System’s Cloud Object Storage Solution. 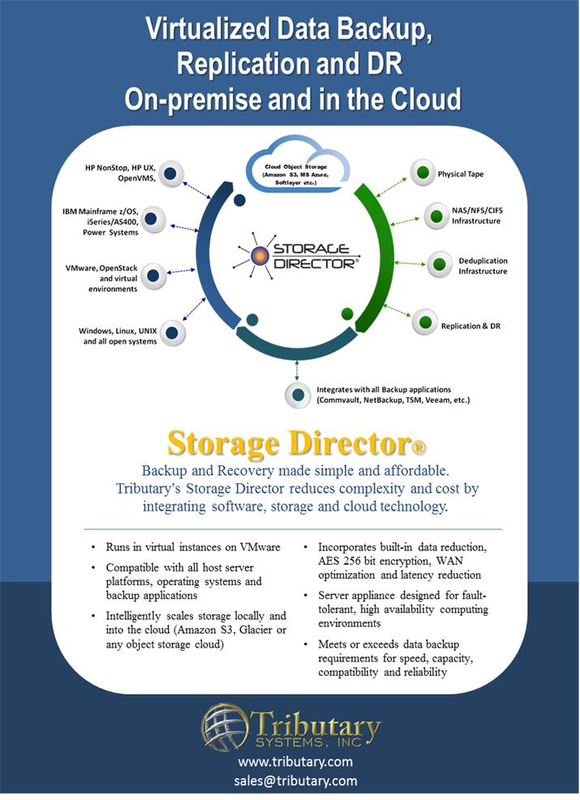 Employing IBM COS technology coupled with TSI’s proven Storage Director as the “front end”, NonStop customers can transparently take advantage of Cloud Object Storage (COS) without any changes to their NonStop applications. • Cloud Object Storage is a highly secure object storage archival technology that has been in the marketplace for 13 years. o Storage Director is superfast at ingesting data from any backup application including NonStop, TSM, Commvault, NetBackup, Veeam etc. ; so installation of the Storage Director between the NonStop host and COS will allow rapid data ingestion and caching to reduce backup windows while streaming the data policy based pools to COS at the back end. While this is obviously only a brief introduction to what is an interesting and multi-faceted topic, the fact is that TSI is ready right now to provide the most advanced Cloud Object Storage solution for all NonStop users, regardless of NonStop system type. NB, NS, NonStop X, or even Virtual NonStop, we’ll support them all! Tributary Systems, Inc. is a technology solution provider to enterprise computing customers. Tributary develops and sells data protection, backup storage, virtualization, site-to-site replication and disaster recovery and Cloud Based archival solutions. Tributary is an acknowledged global leader in providing backup storage and data protection solutions for fault-tolerant, high availability, enterprise computing environments. Tributary was founded in 1990 and is a Texas based company with its headquarters, development, integration, and test facilities in Bedford, Texas. Through its channels and direct sales organization, Tributary has served customers worldwide, predominantly in the banking, financial services, retail, telecom and healthcare industries. Tributary is a HPE business partner and OEM supplier, IBM OEM Partner (iOEM), Solution Reseller (ISR) and Business Partner, Quantum® Value-Added Reseller (VAR), and Oracle® OEM partner. 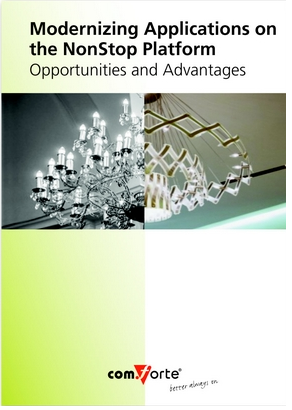 comForte recently published an eBook providing valuable insight into getting the most out of your NonStop investments with the right modernization strategy and approach. As is the case with so many other financial institutions, a major U.S. bank with over 14,000 ATMs considers its ATM network to be its public face. Therefore, it wants the customer experience to be superior. The bank expects its customers to be able to modify their own preferences, to select languages of their choice, to have access to a wide range of banking services, and to receive value-added offers generated in real time. The bank’s earlier ATM software provided none of these tailored functionalities. It elected to migrate to OmniATM, which supports them all. The OmniPayments Financial Transaction Switch is a switching solution for the financial and retail industries. It is deployed on NonStop for the highest availability and offers all the requisite functionality to manage credit/debit-card transactions. It manages multiple devices, hosts application interfaces, and interoperates with third-party products or other systems if required. OmniPayments easily expands to provide additional functionality when needed and supplies complete security functions for every financial transaction handled, including encryption-at-rest and encryption-in-flight. OmniPayments stands in when your host is unavailable..
OmniPayments can be installed either as a complete, off-the-shelf solution or can be enhanced with customer-requested modifications and features to improve cost-effectiveness, efficiency, and risk mitigation. We offer a wide range of separately sold microservices that connect seamlessly to your other systems and solutions. 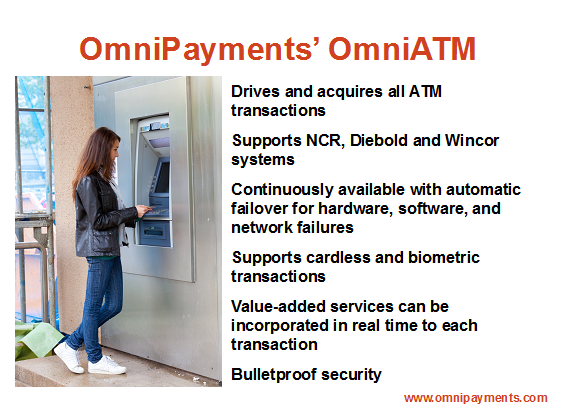 OmniPayments systems in production today process 1 billion transactions per month via ATMs, point-of-sale terminals, and mobile applications. A single OmniPayments system can support up to 10,000 transactions per second. Multiple OmniPayments systems can cooperate to provide any capacity required by an application. We have seven locations worldwide. Preauthorization Services - The OmniPayments Preauthorization Engine is used by financial institutions in conjunction with the OmniPayments Financial Transaction Switch or as a seamless interface to other providers’ switches via a custom support module (CSM). We call it the Fraud Blocker! OmniCloudX - OmniCloudX on NonStop X hosts numerous OmniPayments instances at a pay-for-use price so attractive that mid-size retailers and financial organizations now can enjoy the benefits of having their own high-capacity transaction switches. Starts at only $5,000.00 USD per month. Please contact us if you would like to arrange meetings with our team at any of these events. The name can’t be any more perfect. WannaCry ransomware brings tears of anguish to its unfortunate victims. Once it infects your computer, it encrypts all your files and demands a Bitcoin ransom for file recovery. Have you been impacted? ‘WannaCry Ransomware Global Attack” describes the malware’s suspected origin, the speed at which it spread globally, Microsoft’s rush to protect vulnerable Windows 7 servers, the involvement of the U.S.’s National Security Agency, the kill switch that killed WannaCry, and how the Digest’s Managing Editor was spared from becoming a WannaCry victim. British Airways Downed by Fat Finger – Say it ain’t so, British Airways! On May 27th, a fat finger error caused a worldwide systems crash of the airline’s data center. The result was a massive disruption of air travel at Heathrow and Gatwick Airports and at airports in 70 countries. The fat finger error may have triggered the crash, but what was exposed was British Airway’s failure to fully test the failover procedures to its backup systems. The airline is not the only company that suffers from failover-testing shortsightedness. Fog Computing Improves Application Availability – Fog computing is a decentralized computing architecture in which applications and the data they process are distributed in the most efficient places between the data source and the cloud. Fog computing extends cloud services to the edge of the network via “cloudlets,” thereby bringing the advantages of the cloud closer to where the data is created. Should the cloud fail, applications that normally would be taken down can continue via the cloudlets with little impediment. Carbonite – The Online File Copy Utility – Digest Managing Editor Dr. Bill Highleyman was protected from the WannaCry ransomeware attack in two ways. The first way was based on pure luck. WannaCry infected Windows 7 servers, and Dr. Bill had upgraded to Windows 10. The second method of protection was based on Dr. Bill’s use of an online backup. In his case, the backup service was Carbonite, which costs $59.99 per year. Other online utilities also are available; but what amazes Bill is how many individuals and companies still fail to take frequent backups of critical data. @availabilitydig – The Twitter Feed of Outages - Our article highlights some of our numerous tweets that were favorited and retweeted in recent days. The Availability Digest offers one-day and multi-day seminars on High Availability: Concepts and Practices. Seminars are given both onsite and online and are tailored to an organization’s specific needs. Popular seminars are devoted to achieving fast failover, the impact of redundancy on availability, basic availability concepts, and eliminating planned downtime. In addition, the Digest provides a variety of technical writing, consulting, marketing, and seminar services. For instance, many articles that you see in publications like The Connection were ghostwritten by us for individuals too busy to write themselves. We also create white papers, case studies, technical manuals and specifications, RFPs, presentation slides, web content, press releases, advertisements, and so on. • Patent Disclosures – Dr. Bill Highleyman is the holder of a dozen-plus patents and will be happy to help you with your applications. • Book Writing – As the author of “Performance Analysis of Transaction Processing Systems” and a co-author of the three-part series “Breaking the Availability Barrier,” Dr. Bill understands the effort it takes to produce a manuscript. • Consulting – We specialize in system architectures and risk analyses that help our customers provide the appropriate uptime, performance, and data protection for individual applications. Published monthly, the Digest is free and lives at www.availabilitydigest.com. Please visit our Continuous Availability Forum on LinkedIn. We’re at 795 members and counting. Follow us as well on Twitter @availabilitydig. There’s no time for downtime, and it’s crucial that your NonStop hardware platform is at the ready 24/7. Lusis Payments has years of experience with open systems and brought our experience to NonStop and OSS a few years back. One of the key architecture features of an SOA NonStop environment relates to reliability and high availability, with the agility and the scalability users need. A versatile design and architecture provides the same high availability NonStop users are accustomed to for continuous online processing plus Active/ Active and Active/Passive environments. This allows payment applications to be streamlined across multiple servers without sacrificing speed or accuracy which creates a robust, reliable platform with guaranteed delivery every time. Some elements of high availability are provided by the architecture of the hardware platform, such as fault tolerance, clustering and remote backup. Lusis has experience with these different architectures and their respective pros and cons. We have integrated several functions to minimize any constraints introduced by these disparate architectures. CLICK TO READ THE COMPLETE ARTICLE AS FEATURED IN THE CONNECTION MAGAZINE. Last month we wrote of how we missed eBITUG but we were looking forward to N2TUG which the DataExpress team members attended, and came away impressed. Not only was the numbers of attendees up from what we could recall from previous gatherings, but the venue – the Gaylord Resort in Grapevine – was certainly an upgrade on venues we have been used to. Also worth noting was just how many attendees were from HPE and attracting NonStop product management leader, Karen Copeland, came as a surprise. 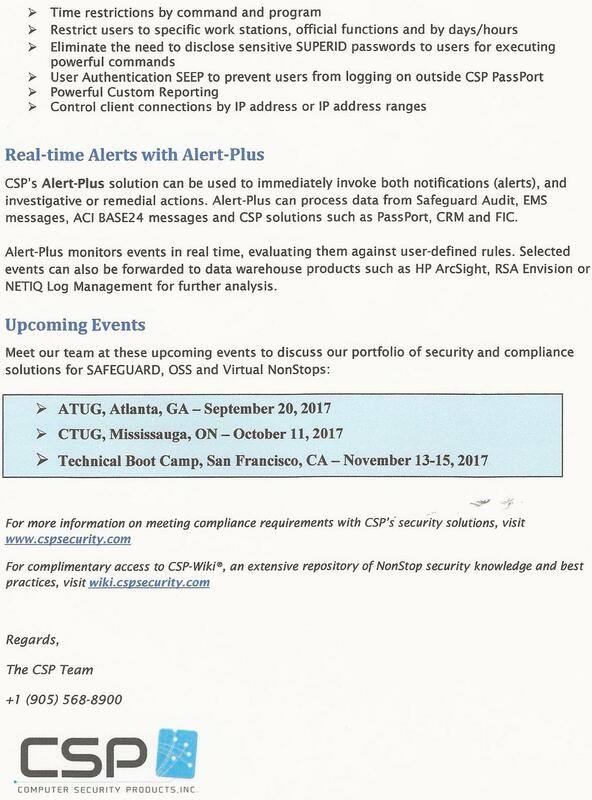 It was last month too that we wrote of how, back here in the offices of DataExpress, there continues to be conversations among the team following what we heard initially at the NonStop Partner Symposium and what was repeated at the event we just attended, even as we have heard from others that it’s become common place at other events. NonStop X systems are shipping as customers see the value being provided by HPE and yes, there’s a lot of discussion surrounding Virtualized NonStop (VNS) – where will it be used, and how? Who will be candidates for taking early shipments of VNS and yes, what workloads will be run on VNS? However, the bigger story seems to surround the issue of NonStop itself – is this new path that HPE NonStop development is taking to give us a less-than-NonStop product or are we worrying over nothing? 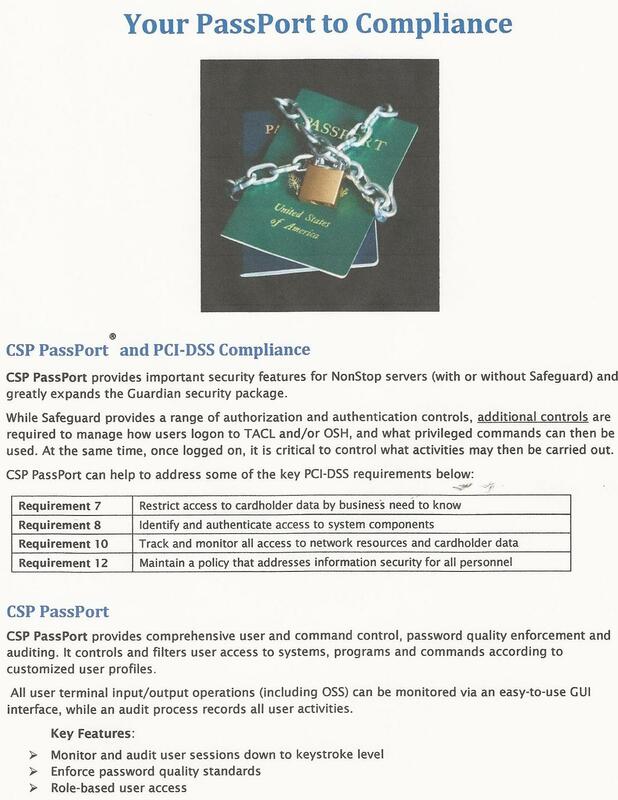 From the product roadmap presentations it now seems as if the HPE NonStop team will be monitoring this and making sure configurations of VNS aren’t leading to a degradation of the NonStop message. Furthermore, if you aren’t already invested in clouds – particularly private clouds – and aren’t experienced in provisioning resources and workloads, then you may not be a candidate for VNS. Well, not for the initial roll-out of VNS. And this makes sense to us – we suspect that with the resources on hand, the team at NonStop wants to stay focused on supporting just VNS and don’t want to get too involved in teaching prospects of VNS all about virtualization and clouds. As a candidate for VNS, you have to be well-informed of not only the benefits of virtualization but all the pitfalls you may likely encounter should this all be a new endeavor for you, and yet, we cannot help but think that VNS would be a boon to in-house developers as well as vendors such as us. Giving each developer their own virtual machine running NonStop obviously has good productivity upside to consider, but price-point initiatives have to be favorable for this type of deployment. What we find intriguing is whether our customers and prospects end up running DataExpress NonStop (DXNS) or DataExpress Open Platform (DXOP) in a separate virtual machine with links to other virtual machines. Will we encounter users, for instance, running a production environment with four or five virtual machines all running VNS who then ask for a copy of DataExpress to run in a sixth or seventh virtual machine that acts as an agent on behalf of all the others? And, if so, will the preference be for another NonStop virtual machine to run DXNS or rather, just kick-off a Linux virtual machine to run DXOP? While it is still too early to make predictions in this regard, it will certainly be very interesting to watch and here at DataExpress, whichever way it goes, we see benefits for our customers. Having a choice is always beneficial for any enterprise! In the most recent post to our NEWS / Blog page on our DataExpress web site, What makes a good managed file transfer product – DataExpress checks the boxes! we cover recent work we have done for both DXNS and DXOP. While we have completed the work to be validated for deployment on Virtual NonStop, during the last couple of weeks we pushed our DXOP V6 into Production status and a short time ago we completed our first DXOP V6 deployment at one of our customer’s sites. Our team has proven, yet again, that one of DataExpress’s shining strengths is customer support delivered with the utmost patience. We are very proud of this version which will carry us forward while we do some “enthusiastic” re-engineering on significant parts of our internals to streamline our processing, lower our CPU utilization and allow us easier scalability as the demand in the market changes to more encryption, more compression and higher throughput of more files. We are now headed into summer with many people we know and work with headed for vacation. Summer is already bringing with it scorching temperatures with numbers appearing on weather maps that are higher than we have seen in a while. But with vacation comes an exit of knowledge from most data centers and when it comes to file transfers, juts how well-prepared are you? How automated are your processes and how automated are your escalation procedures should something need attention? How accessible is the information about the transfers to those on the road with PDAs being their only access point? Borrowing a line from the chorus of the musical Grease, Summer Nights, “Tell me more, tell me more!” these questions are not asked in isolation but reflect the true value proposition that DataExpress brings to the table whenever vacation time comes around. And if you are not a current user of DataExpress and yet, need to move many files every night – will summer nights be a time when you simply can’t hear or see anything at all? Should you like to hear more about DataExpress and about the users of DataExpress who do enjoy their summer nights – then yes, we would be only too happy to schedule a call and a demonstration for you at your convenience. 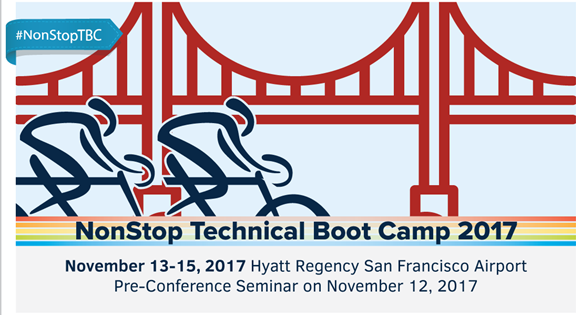 Connect Worldwide invites you to join the NonStop community at the 2017 NonStop Technical Boot Camp at the Hyatt Regency San Francisco Airport in Burlingame, California on November 12-15, 2017. We encourage you to take advantage of the EARLY BIRD registration rate of $1295 until September 1st! Connect is at the forefront of today's open system leaders and is a true user-driven consortium of HPE customers and partners working with HPE's NonStop Enterprise Division. The 2017 NonStop Technical Boot Camp will begin with cutting edge deep-dive pre-conference seminars on Sunday hosted by the leaders of NonStop innovations and solutions and will follow with three days of breakout sessions, keynotes, and networking receptions. Meet and learn from the developers, engineers, and executives that are leading the global NonStop community. Click here to get started. Reserve Your Room at the Hyatt Regency SFO Today. Connect has secured a great room rate for Boot Campers at the Hyatt Regency San Francisco Airport. Reserve your room before October 20, 2017 to get the Group Rate of $235 per night. To reserve your room online now, click here. Do you have an interesting NonStop topic that you would like to present at this year's Boot Camp? Learn more and submit your paper here. The Call for Papers closes on September 1st. No matter if you are new to NonStop or have years of experience, there is something at Boot Camp for you. Click here to learn more and get registered today. See you at Boot Camp! The month started out with Margo and my attendance at N2TUG – a regional gathering of users from across Texas, Oklahoma, as well as from other adjacent states. While the usual suspects from the NonStop vendor community showed up, there was more than a healthy smattering of NonStop users. Furthermore, there was a greater HPE presence than I have seen, at a user group event, in quite a while. However, it was the event that followed N2TUG just a week later, the HPE big-tent marketing event, HPE Discover 2017, that really gave cause for me to rethink some of what I had been assuming would be happening with NonStop. We all know that under the direction of Andy Bergholz HPE NonStop development has been moving at a rapid pace to ensure NonStop not only stays the best software platform on the planet but probably less heralded was the work being done to make it easier for third parties to port their solutions to NonStop. Just look at the work that has been done with NS SQL/MX to make it Oracle compatible and hence, simplify the effort needed to port a typical Unix / Oracle application to NonStop. So what has caught my eye? Well it was the number of times that the phrase NonStop workloads came up in conversations that took place during HPE Discover. And if you want to read more of Andy’s observations / comments that check out the latest post to the NonStop community blog, Real Time View - Right time, right place – NonStop lights up the horizon! Talking of third parties and workloads, there were a number of references to the work OmniPayments has been doing and, when it comes to wanting reassurances that NonStop will remain NonStop (no matter where it ends up running), then the confidence coming from a solutions vendor that yes, NonStop remains NonStop is good to hear! Right time, right place – NonStop lights up the horizon! Does Virtualized NonStop hold the key to bringing fault tolerance to the cloud? To enquire about Sponsorship opportunities for the Tandemworld Newsletter please click here. Our company, Tandemworld, accepts no liability for the content of this email, or for the consequences of any actions taken on the basis of the information provided.